Yianni Kourakis is the award-winning Sports Director for WPRI 12 and FOX Providence. Yianni anchors sports for Eyewitness News at 6 p.m and 11 p.m., and hosts and produces the Sports Wrap nightly at 10:45 on FOX Providence, the Patriots Wrap and New England Nation. 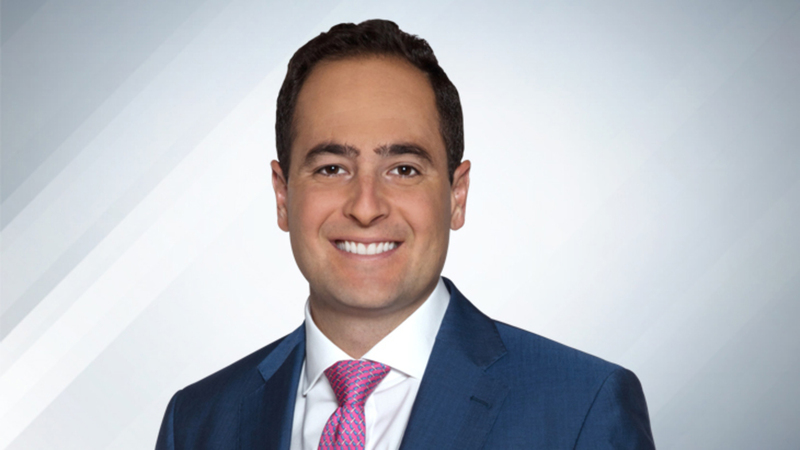 Since joining the Eyewitness News team in Sept. 2013, Yianni has covered four Patriots Super Bowls including thrilling wins over the Seahawks, Falcons and Rams. He also covered two Red Sox World Series wins in 2013 and 2018. On all occasions, Yianni hosted live post-game shows from the field after the championship. He also followed URI and PC basketball in the NCAA Tournament, the Friars Hockey Championship team, hosted Inside Rhode Island Basketball with Dan Hurley and covered Bruins and Celtics playoff games. During the fall, Yianni hosts the high school football show the Friday Night Blitz with Ruthie Polinsky and Morey Hershgordon. In the podcast space, Yianni hosts “Double O.T.” alongside Ruthie and Morey. Yianni is a Rhode Island native and graduate of South Kingstown High School. While at WPRI he has been nominated for two Emmys, won an Associated Press award for Best Program and won the Rhode Island Monthly award for Best Sportscaster. Prior to returning to the Ocean State, Yianni was a Sports Anchor/Reporter at WRIC-TV in Richmond, VA where he was named Associated Press Sportscaster of the Year in Virginia twice. Yianni also worked at WBOC-TV in Salisbury, MD, and the Mid-Atlantic Sports Network. He is a proud graduate of the University of Maryland. Go Terps! Back in his home state, Yianni loves covering the teams he grew up watching. He lives in East Greenwich with his wife Beth, and young children, Paige and Chip. If you have a story idea for Yianni please email him at ykourakis@wpri.com and follow him on twitter @YianniKourakis. This week’s Cardi’s Furniture & Mattresses Hometown Sports Hero is Chris Wright. The former Cumberland All-Stater earned all-NEC 2nd team honors on the field for Bryant last Spring and he's picked up where he left off for the Bulldogs. Wright tied for second on the team with 5 home runs and 29 RBI's, while sporting a .271 average. Button Hole is preparing for another golf season in Rhode Island as they continue to provide a place for young golfers to enjoy and learn the game. Portsmouth tops Prout, 17-6; Middletown beats Tiverton, 10-3 in boys lacrosse. The Providence College hockey team has a lot of time to prepare for their second Frozen Four in the last five years. The Friars will have nine days between their regional final win over Cornell and their matchup against Minnesota Deluth next Thursday in Buffalo. The Pawtucket Red Sox hosted media day Tuesday at McCoy Stadium ahead of their second to last season as the venerable ball park. The PawSox begin their season Thursday in Syracuse but won't host a home game until the following Thursday, April 11th. This week’s Cardi’s Furniture & Mattresses Hometown Sports Hero is Madison D'Ambra. The Bay View senior scored her 1,000th point and earned 2nd Team All-State honors in her final season on the court, leading the Bengals to a 16-7 record, the Division I Quarterfinals and a spot in the Open State Tournament.